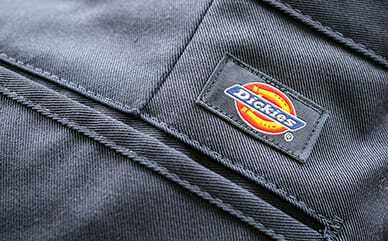 In 1967, Dickies introduced its iconic work pant, the Original 874, to the world. 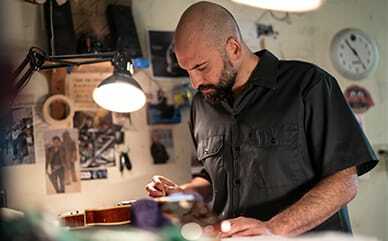 For over half a century, this signature pant has been an authentic choice for the working class—becoming synonymous with Dickies as their famous pant. Additionally, they’ve even worked their way into different sections of the market including artists and the skate sub-culture. The heavyweight twill design is durable, long-lasting and rugged—our toughest and most popular work pants. A comfortable men’s pant, the original 874 work pant sits at the waist with a traditional fit through the seat and thigh. Slimming flat front and slightly tapered leg look good on every body type. Available in 26” to 72” waist size and a range of inseams so you can find your perfect fit. Choose from a variety of colors of these multipurpose work pants. This pant is so versatile that one avid 874 customer wrote that he buys different colors for different uses. He uses gray pants for work, blue pants for working around the house and yard, and black pants for Sunday best. The 874 is the perfect pant for any job—whether you’re at the office or getting dirty on a jobsite. The polyester/cotton blend makes it durable with easy care—meaning it’s machine washable no matter what job you wear it through. It also resists spills, stains, wrinkles and when hung right after the washer, it will retain the professional-looking crease without ironing. We took the Original 874 and created new fits so you can stay true to your style.